A hose is an essential part of every yard or garden but can be a nuisance if you don't have a place to store your garden hose properly. Read here to learn ways to store them. We all have a garden hose. If you’re lucky enough to have a large backyard you probably have an even bigger hose to go with it. While useful, garden hoses can be a nuisance. They are unruly and usually found in that unsightly green color – there just never seems to be a good way to wrangle them up and out of sight. Stores offer a selection of storage boxes and wheels to try and keep them in check but let’s be honest, sometimes they just aren’t pretty enough or you’re on a budget. Maybe you can’t find something that fits your style. Maybe you don’t want anything with a manufactured look to it. Regardless of the reason, you’re looking for some ideas. 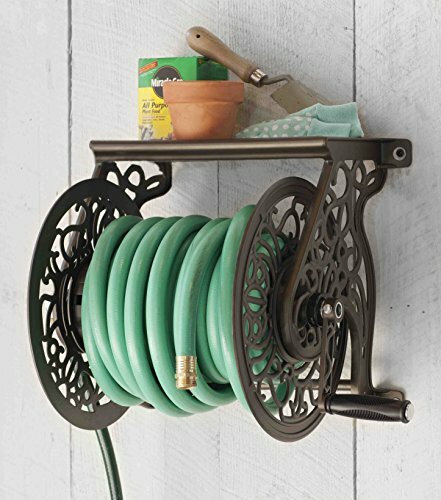 We’ve compiled 23 lovely options for all of your garden hose storage needs. 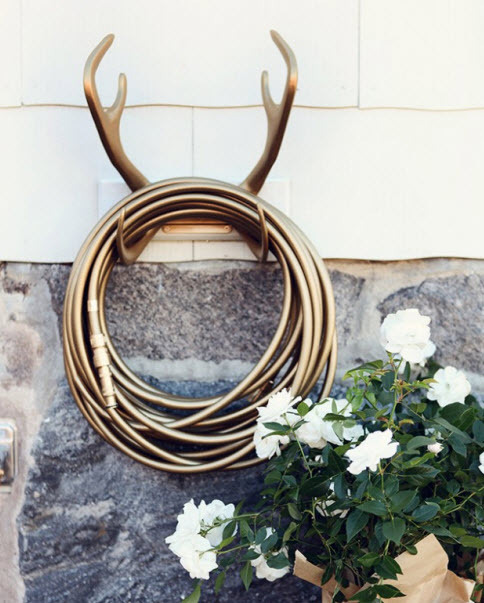 Some are purchasable online while others offer handy DIYs for a more personalized touch. Some options, like using an old tire rim, are really out there for the more eclectic of gardens while others are sleek and modern or pretty and whimsical. Even more offer storage for other outdoor items. Whatever your taste we hope we’ve found an idea to spark everyone’s creativity. 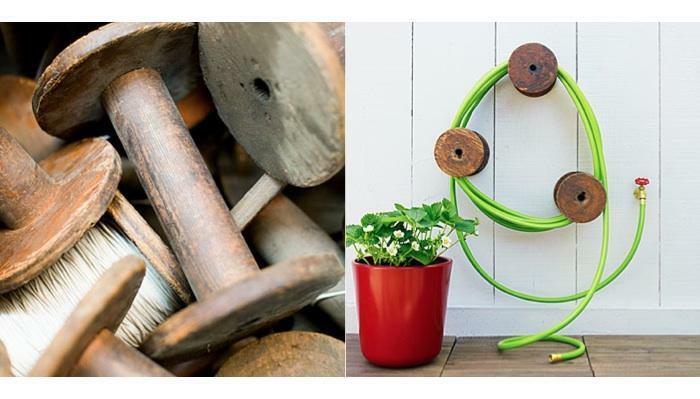 Garden hose storage pots come in a variety of materials, shapes, and colors. These are best if you want to be able to hide your hose entirely. A small hole ensures you can easily unravel it. This lovely hitching-post style holder is completely customizable and easy to make! The step-by-step process makes this an easy weekend project. Galvanized pails are useful in so many ways. 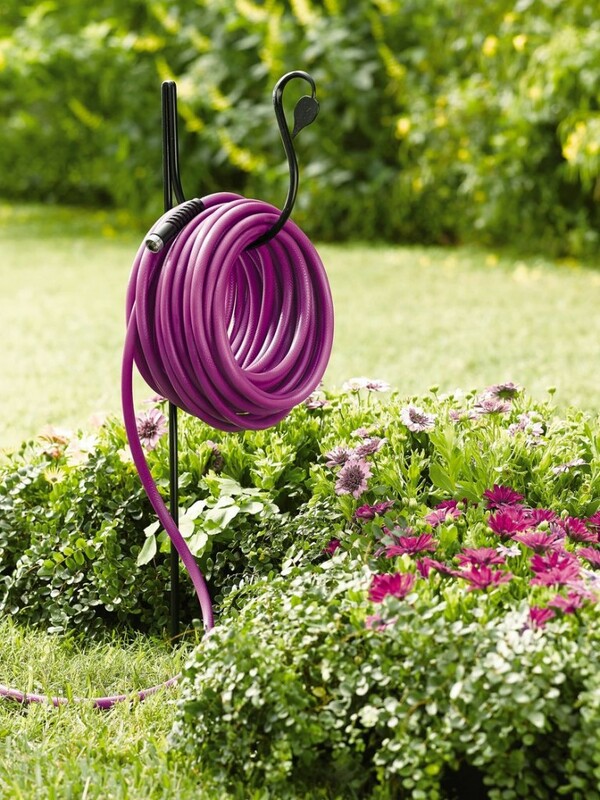 Not only is this one perfect for keeping your hose neat, it doubles as storage for small garden tools! This can give your garden a bit of rustic charm. Flea market finds can turn into excellent garden projects. 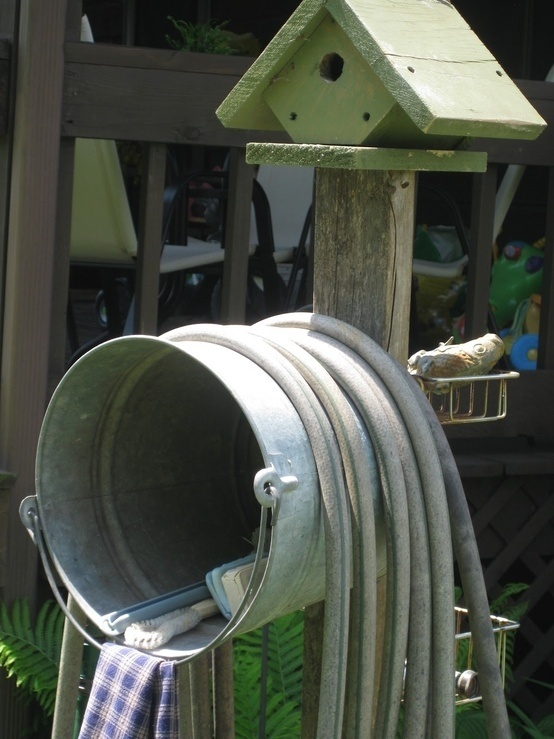 These old textile spools make a functional and interesting feature to keep your hose looking orderly. 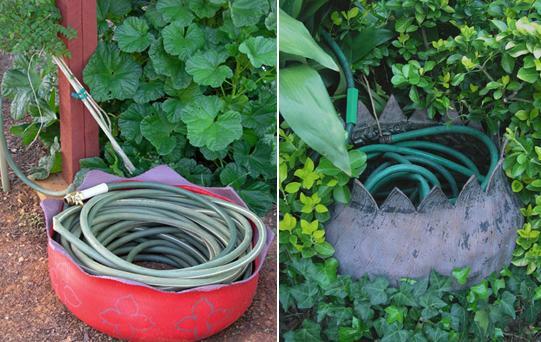 Using an old galvanized wash tub can be a quick and simple option for controlling your hose. Use as is or drill a hole in the bottom to make storage even easier. This simple bracket is easy to install and a good option for those looking for a more modern, clean look. 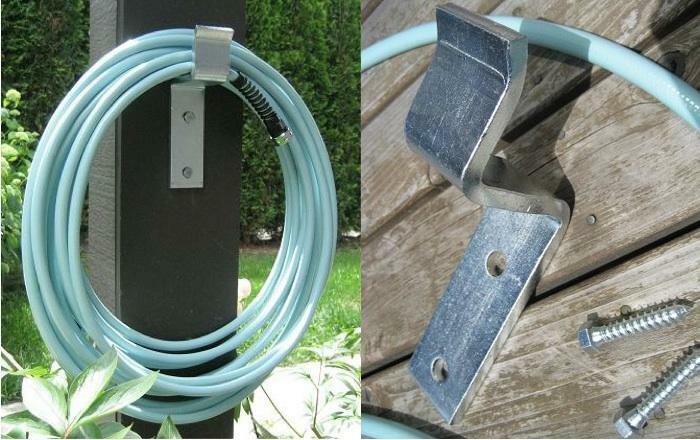 Brackets like this can be found at most hardware and garden stores. That pretty blue hose is a nice touch too. The “hose butler” is a nice option for those looking for something a little more delicate and whimsical without giving up functionality. It’s small enough to not be an eyesore but can hold up to 200 feet of hose. 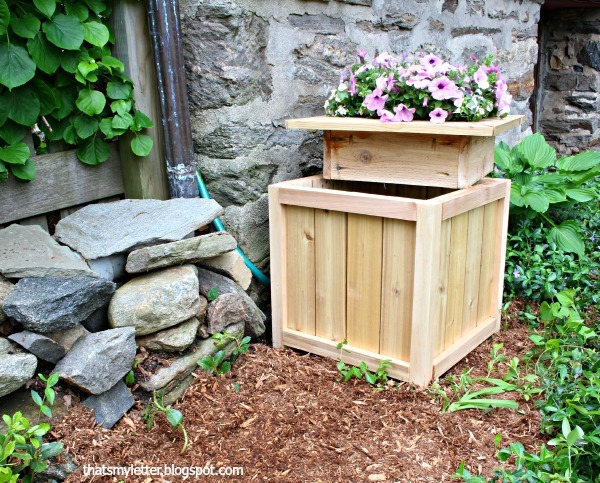 Up-cycling is a great way to save money when working on your garden. Repurposing old tires will give you something durable and customizable – it can be eye-catching or industrial. 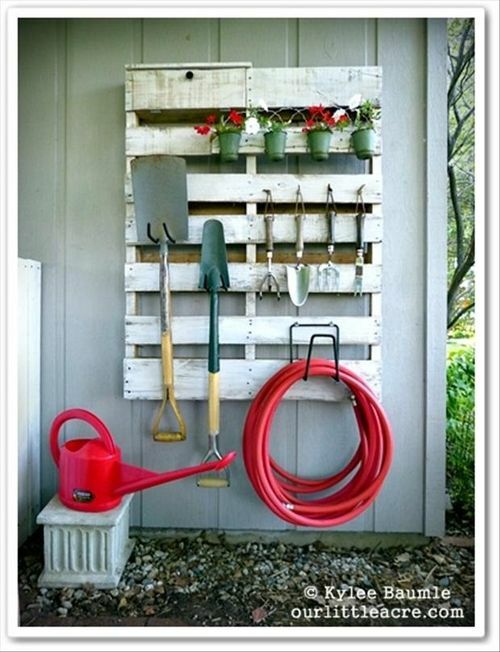 This DIY project utilizes a cheap wooden pallet. Here it’s shown used for some lovely garden storage, but could just a easily be used for a garage or extra home storage. 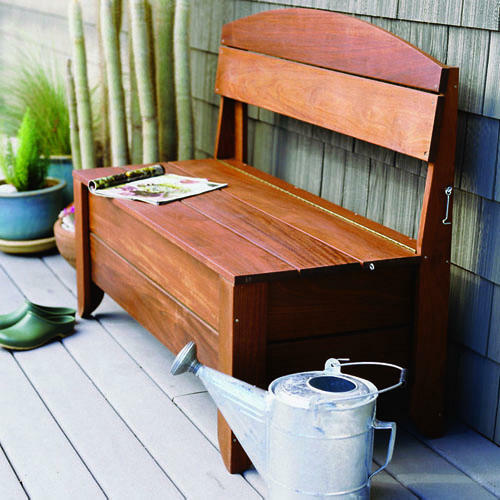 A beautiful outdoor storage bench is a great option for hiding a garden hose and more! Wooden benches are easy to utilize just by drilling a hole in the back to feed the hose through. 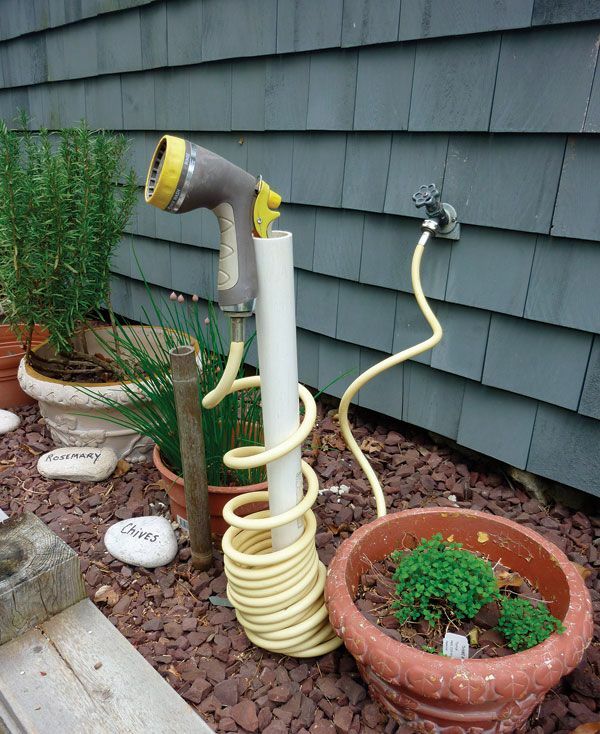 For those that use a coiled hose, PVC pipe is a great storage option. You can customize it with paint or just leave it as is. Anyone looking for something a little different should look no further! 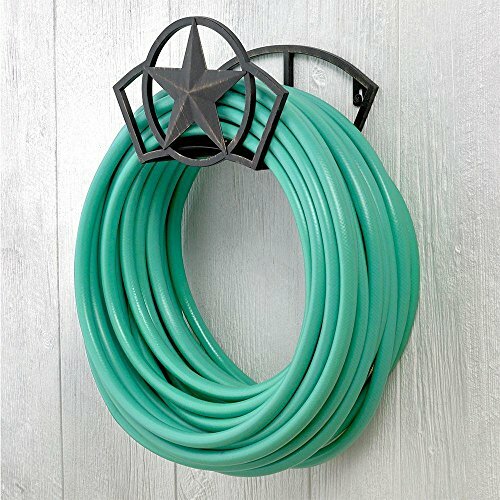 These hose and holder sets come in several different colors. This lovely little wooden planter also contains storage for your hose or other garden needs. Follow the detailed instructions to make one for your own garden. 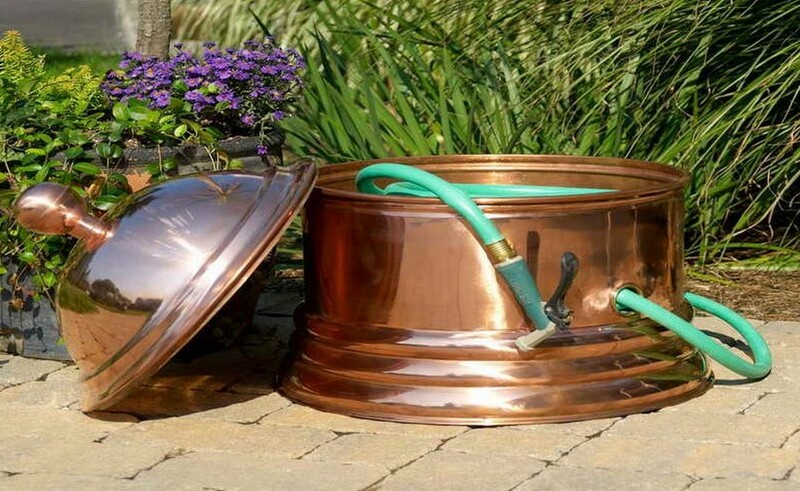 This is a great repurpose of an old rim that will add an interesting look to any eclectic garden. Pick one up at a salvage yard to keep costs down. For a simple and rustic option, use a tree branch! This birch branch is a lovely choice to keep a natural look around your garden. 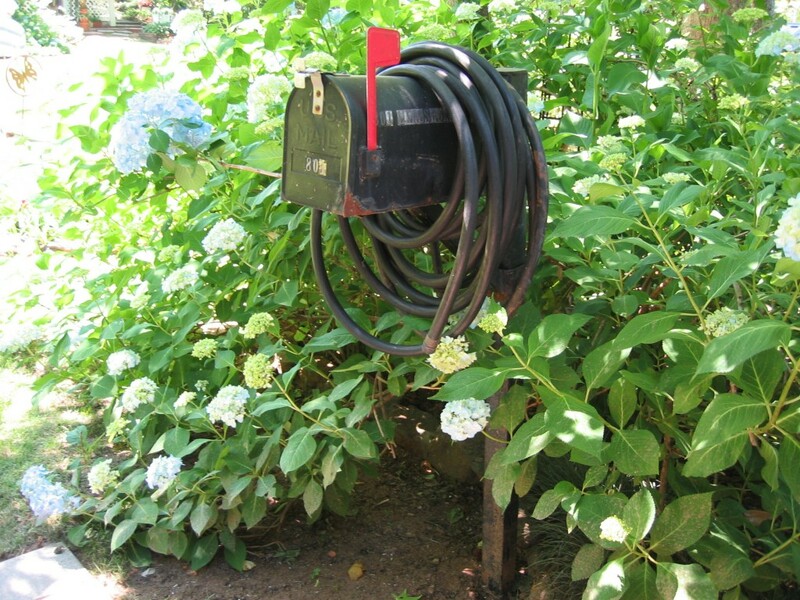 Installing an old mailbox in your garden adds a charming touch – and extra storage. This one doubles as a great place to store a garden hose. 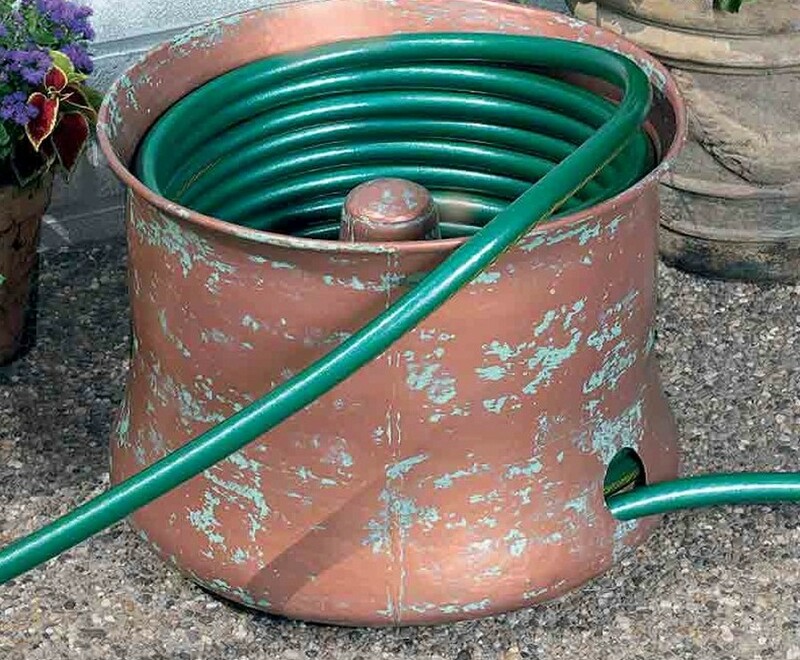 Similar to the hose pot listed earlier, this drum adds an interesting look to an otherwise boring hose. You might even look into repurposing a small washer drum for this same purpose. 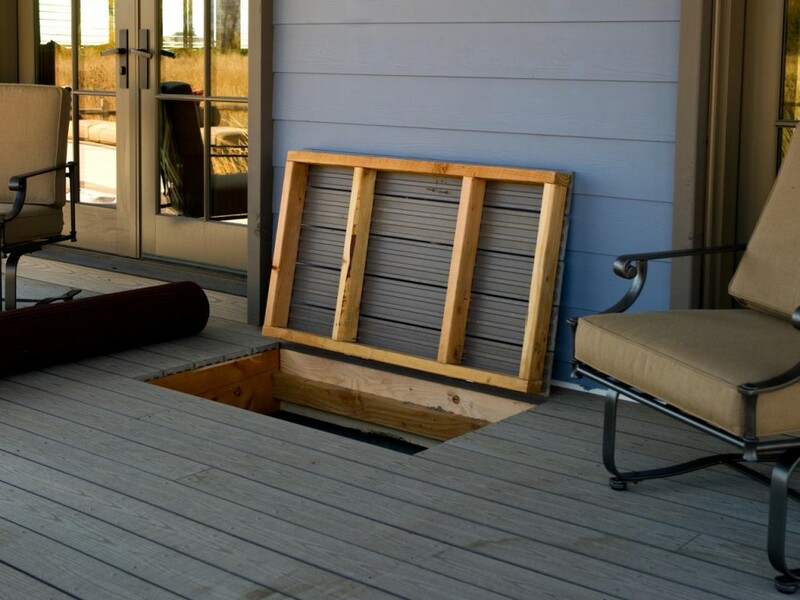 Consider installing under deck storage for all your outdoor storage needs, including the garden hose. This is a great use of otherwise unused space. 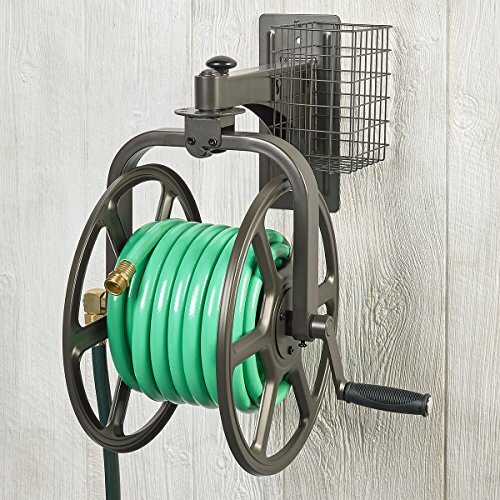 If you are looking for a stylish hose reel to give your garden some character, then this bronze reel is going to be ideal. It is designed with a storage tray on the top that can be used to store your tools, and the reel hangs under this tray from a swivel that can rotate a full 360 degrees. When you need the reel to stay still, it can easily be locked in place. The bronze coating on the reel is designed to protect it from the weather. 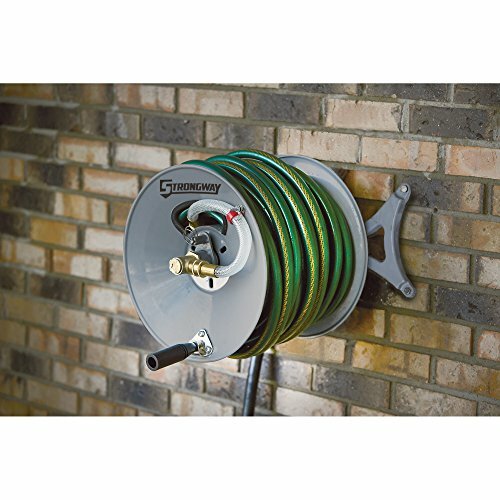 This hose wheel is an excellent option for storage because it has a large basket where you can keep your tools as you work. From the basket, you will see a swivel that holds the reel in place, but if you need to move it, pull the knob for a full 360-degree rotation. The steel material of this hose wheel has also been coated with a water-resistant powder to help protect it from the elements. If you want a hose wheel in your garden that adds a bit of flavor to your space, then this decorative option, which is made from cast aluminum, will be a great addition to your outdoor space. 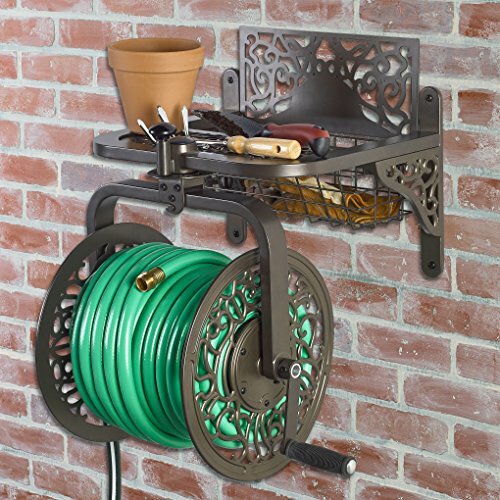 The bracket attaches to the wall at four points, and there is a shelf above the reel that can be used for the storage of your gardening tools and gloves. In addition, this reel has a powdered coating to keep it protected from the rain. 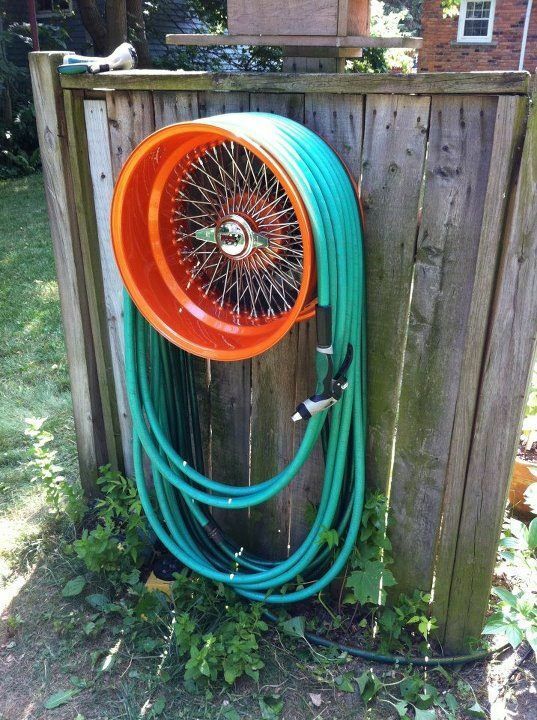 This hose wheel is one that is designed to be mounted on a wall in your garden. 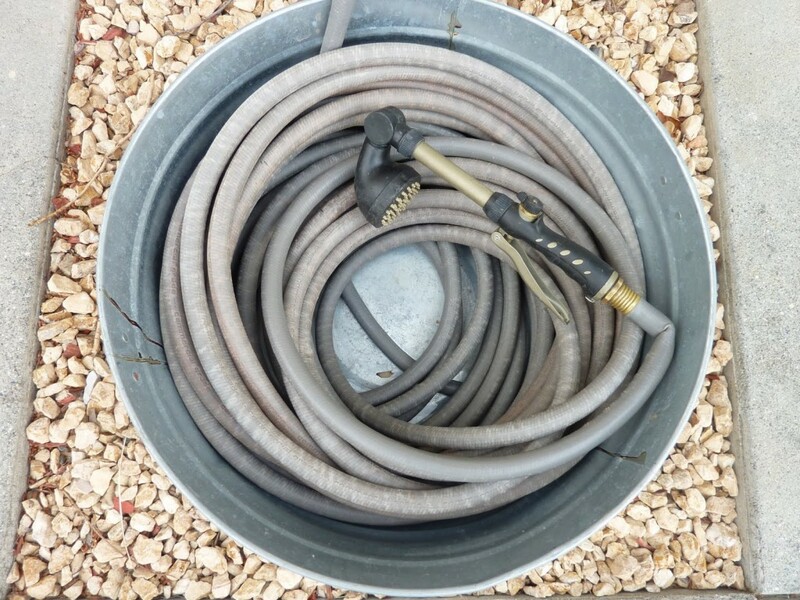 There is an inlet hose that can be connected to another hose so that you have a water source in your garden. 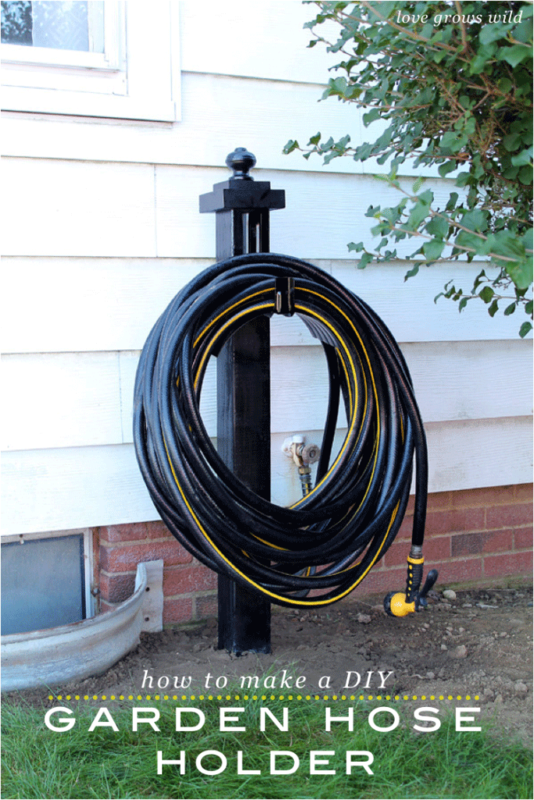 The hose wheel is designed to hold 150 feet of hose, so even though it is just solid metal, it will work well in a large garden. In addition, the unit can be mounted either parallel to the wall or perpendicular. 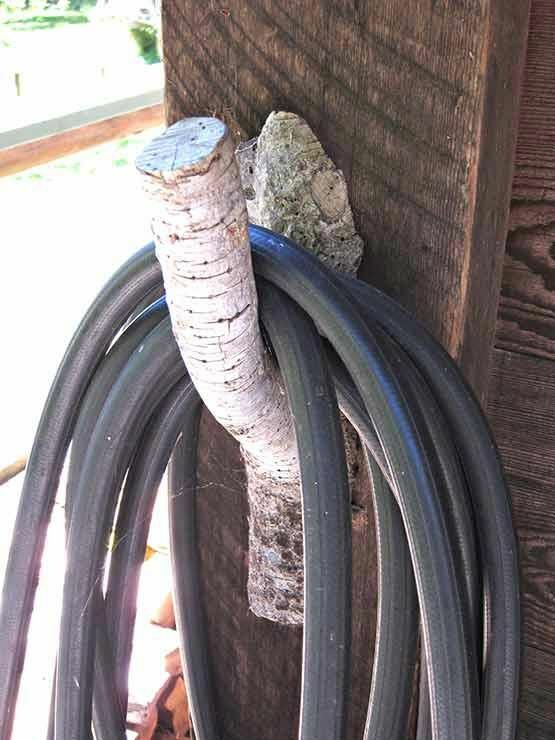 This option for storing your garden hose is a bit different than the rest. You will not be able to wind the hose onto it, but you can easily wrap it around the butler. It has a large steel star on the front, which will look great mounted against any wall in your garden. It has a keyhole mounting system that will give it more stability on the wall, and it is designed to be water resistant since it cannot be removed from its position.